University of Delaware Master Players Concert Series and Artistic Director Xiang Gao will perform “6-WIRE & Friends at Carnegie Hall” on Saturday, February 16, at 7:30 p.m. in Zankel Hall of Carnegie Hall in New York City. Master Players celebrates its 15th year of bringing the world’s top musicians and ensembles to the University of Delaware. The performance will be led by 6-WIRE (Xiang Gao, violin/director; Cathy Yang, erhu & Matthew Brower, piano), the Master Players Ensemble-in-Residence. 6-WIRE is inspired by the historical connection between the erhu, the Chinese 2-stringed violin, and the 4-stringed violin — both essential instruments in the East and West. The ensemble mixes traditional romanticism and virtuosity with new chamber music. 6-WIRE ensemble. Photo courtesy of the artist. Founded and directed by Chinese-American violinist Xiang Gao, an award-winning concert presenter, composer and producer, 6-WIRE’s performances redefine traditional chamber music, delighting cross-generational audiences with forward-looking compositions and cutting-edge audio and video technology. The New York premiere of Clearwater Rhapsody for 6-WIRE and cello by MacArthur Genius Grant awardee Bright Sheng features the world-renowned composer at the piano. The concert will also feature the New York debut of compositions and arrangements by Xiang Gao. A composition titled 6th Sense for 6-WIRE and cello will feature UD faculty cellist Lawrence Stomberg in memory of the victims of the Sandy Hook Elementary School shooting in 2012. Members of the UD Symphony Orchestra, under the leadership of UD Director of Orchestral Activities James Allen Anderson, open the program with the World Premiere of the 6-WIRE arrangement of Bach’s concerto for violin and oboe. In this performance, which includes guest harpsichordist Tracy Richardson, the erhu replaces the oboe part to bring a new sound to the masterpiece. Renowned Chinese violin-maker Yunkai Jiang created a violin-erhu hybrid cello called Gupinghu, and Master Players guest cellist Gabriel Cabezas will perform on the Gupinghu for the instrument’s New York debut. Two World Premiere works on the program include Ealasaid, for 6-WIRE and UD Chorale, led by Paul D. Head, composed by Jennifer Margaret Barker and Meridian Flux by composer Mark Hagerty. Twenty Delaware artists are being recognized by the Delaware Division of the Arts (DDOA) for the high quality of their work. Samples from 136 Delaware choreographers, composers, musicians, writers, folk and visual artists were reviewed by out-of-state arts professionals, considering demonstrated creativity and skill in the art forms. The 20 selected fellows reside throughout Delaware including Bear, Bridgeville, Claymont, Dover, Frankford, Lewes, Middletown, Newark and Wilmington. Awards are given in three categories: $10,000 for the Masters Award; $6,000 for the Established Professional Award; and $3,000 for the Emerging Professional Award. 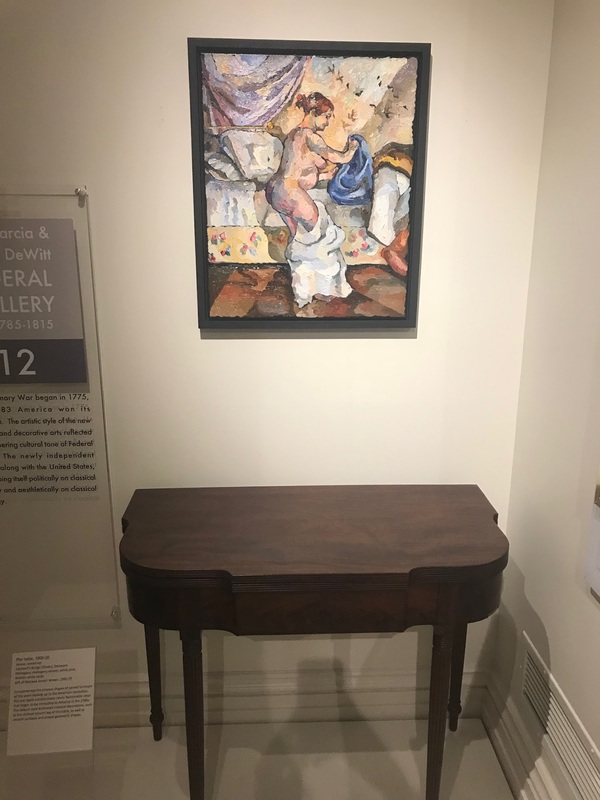 Fellows are required to offer at least one exhibit or performance during the upcoming year, providing an opportunity for the public to experience their work. "Individual Artist Fellowship grants provide the recognition and exposure that artists need to successfully promote their work," said Paul Weagraff, DDOA Director. "The financial award allows them to pursue advanced training, purchase equipment and materials, or fulfill other needs to advance their careers." The work of the Fellows will be featured in a group exhibition, Award Winners XIX, at the Biggs Museum in Dover from June 7 to July 21, 2019. Selections from Award Winners will travel to CAMP Rehoboth in August and early September and then Cab Calloway School of the Arts during September and October. 2018 Established Professional, Visual Arts: Painting. "It’s a very diverse cohort this year," notes Leeann Wallett, DDOA's Program Officer of Communications and Marketing. "I'm excited to see what they bring to the annual Award Winners' exhibition at the Biggs." The Masters Fellowship is open to differing artistic disciplines each year. In Fiscal Year 2019, Masters Fellowship applications were accepted in Literary and Media Arts from artists who had previously received an Established Professional Fellowship. In addition to exemplifying high artistic quality, Masters Fellowship applicants must demonstrate their involvement and commitment to the arts in Delaware and beyond. Listed below are the Delaware Division of the Arts 2019 Individual Artist Fellows as well as three Honorable Mentions. Billie Travalini has been awarded this year's Masters Fellowship in Literature: Fiction. Travalini, an internationally award-winning writer and educator, teaches English and creative writing at Wilmington University. She has taught creative writing to encourage critical thinking at youth detention centers statewide, which led to Teaching Troubled Youth: A Practical Pedagogical Guide, an award-winning book with an important message on the human condition. In addition, she has taught poetry and playwriting at various Boys and Girls Clubs. In 2014, Travalini received the Governor's Award for the Arts for her extensive career and work in education. Travalini, co-founder and coordinator of the Lewes Creative Writers' Conference, is currently working with Fort DuPont to have the children of Governor Bacon remembered by serving the children of today. Her passion for creative writing has led her to "promote the need to include everyone in the conversation." Megan Chen is a 15-year-old author who attends Newark Charter School in Newark, Delaware. Delaware Arts Info connected with her for a quick Q&A on her new book, Finding Tiger, which is currently available on Amazon and Kindle. How long have been writing and what was your initial inspiration? I have been writing for as long as I can remember. When I was younger, I loved to make up my own stories and poems, and it gradually became something that I fell in love with and wanted to take more seriously. 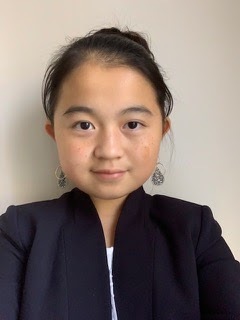 The inspiration for Finding Tiger stemmed from problems of cultural identity, implicit bias and stereotyping that I have struggled with in my life, and I often see others struggle with in my community. Can you give us a summary of the Finding Tiger story? Who is your book's intended demographic? Finding Tiger is a heartwarming yet adventurous story for students in early grades (Kindergarten to 4th Grade). The story centers on a young tiger who has no sense of self-identity. Through interactions with other animals including Blaire the Bear, Lu the Snake, and Elphie the Elephant, Tiger has to conquer assumptions and biases. Through the unknown jungle, she goes on a journey of self-discovery to find her true colors in the end. 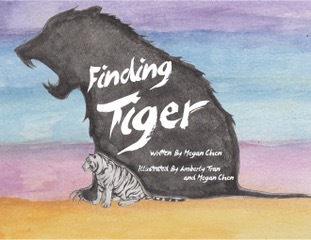 Chen's book, Finding Tiger, is available now on Amazon and Kindle. What message would you like readers to take away from the story? I’d like all readers to learn that the journey to self-acceptance is not easy, but it is really rewarding in the end. Many people struggle with problems of fitting in, trying to be someone that they are not. I want to let them know that it is okay to be different. Even though this sounds cliché — it really is our differences that make us unique. Don’t be afraid to be there for someone who is struggling with these problems, and always share a little love, kindness and acceptance every day. Do you have any book signings or promotional appearances planned to promote the book? I am working on scheduling several appearances in schools across the area, and I will be at several author events at local libraries in Newark and Bear. I am also planning an event at Barnes & Noble soon that will be a book signing and meet-the-author event. I would also love to visit area schools to read Finding Tiger live, so if there are teachers who may be interested, please connect with me! What authors/books are you currently reading or who/what are your favorites? I have recently been in a phase of reading books that have been turned into shows or movies. I just finished the To All the Boys I’ve Loved Before series, and I’m currently reading the Crazy Rich Asians book series. I’m also reading The Kite Runner by Khaled Hosseini — which is an amazing, heart-wrenching novel — and I’ve just started A Thousand Splendid Suns, which is also an incredible work. If you could host a 'literary roundtable' of famous authors (living or dead), who would you invite and why? I really would choose an eclectic group of authors. As I am also very into poetry, I would invite Maya Angelou and Emily Dickinson. They are some of my favorite poets, and I know they would bring an amazing perspective [to the group]. From some of my favorite books growing up, I would have to invite J.K. Rowling and Roald Dahl. I am a huge Harry Potter fan, and I think everyone probably has a favorite book that is written by Roald Dahl. They are some of the most creative authors that I’ve read, and I’m inspired by them every day. Lastly, to finish off the group I would invite Khaled Hosseini and Kristin Hannah. I enjoy just about any realistic or historical fiction novel, and I’d love to learn more about their lives and the inspiration that led them to creating some of my favorite books. What's next for you? What are you writing now or what are your literary goals for 2019? I’ve just been inundated with things related to school lately, but I definitely am still working on many new things! I think 2019 is the year that I want to get back into writing poetry, as I have previously taken a break from it. I’m also hoping to write some short stories, and I've been working on articles for several online news publications. I am absolutely using this year to express myself through my writing, and my goal is to write at least one new thing every month.